Midwest Laboratories is an innovative company with outstanding quality and turnaround time experience. Midwest Laboratories services Agriculture clients in all 50 states. 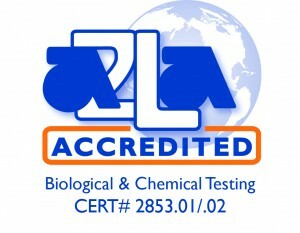 With its national reputation, Midwest Laboratories continues to work closely with the industry in performing timely and accurate analysis. Over the past 30 years, Midwest Laboratories, Inc. has become a major environmental laboratory with a strong base in both agriculture and industry. We are NELAC-certified in Florida, Utah, Kansas, New York, Washington, Texas and California for non-potable water, metals and wet chemistry. In addition, we offer you tests for biomonitoring or Whole Effluent Toxicity (WET), inorganic environmental and metals, microbiology, organics and pesticides/herbicides by gas chromatography, petroleum contamination, hazardous waste and XRF Technology for elemental analysis.